xyzzysqrl | XYZZYSQRL'S GAMEBLOGGING AWARDS NOMINEES 2018! XYZZYSQRL'S GAMEBLOGGING AWARDS NOMINEES 2018! For the second year in a row I'm sweeping in like the Grinch and stealing kjorteo 's game awards ceremony. I'm gonna be honest, I was not actually thinking about this. If I sound fatigued or drowsy during this write-up, therefore ... Well, I am. I've been half-asleep since the weather shifted towards cold, and I can't wake myself up very well, so this is a more low-key, subdued game awards this year. I feel like time has distorted itself into long strands and we've come unfocused and vague and wavery. I have taken three dozen naps today alone and I don't even remember what 'today' is. I'm half-convinced 2018: The First Half and 2018-2: The Squeakquel were different years. My Incomplete/Abandoned count continues to rise, but I think that's a consequence of playing so much gamesoft to begin with. It's never a competition or a race, but I'm oddly pleased to see that I played fewer games this year than last. I feel like maybe I'm in the proper zone of where I need to be, and also enjoying myself with MMOs and lengthy games and such even more than before. This is about the level I want to maintain, somewhere between 60-80 games a year. That feels somewhat sane, given my copious amounts of free time, without going full binge-on-everything. As usual, any games played/completed past THIS MARK ^^ will count for next year instead. Well, that said: Let's get a-stealin'. ULTRA STREET SQRLMOG AWARD MEGABLOG 2018: THE HIGHLIGHTENING 2: PART TWO! 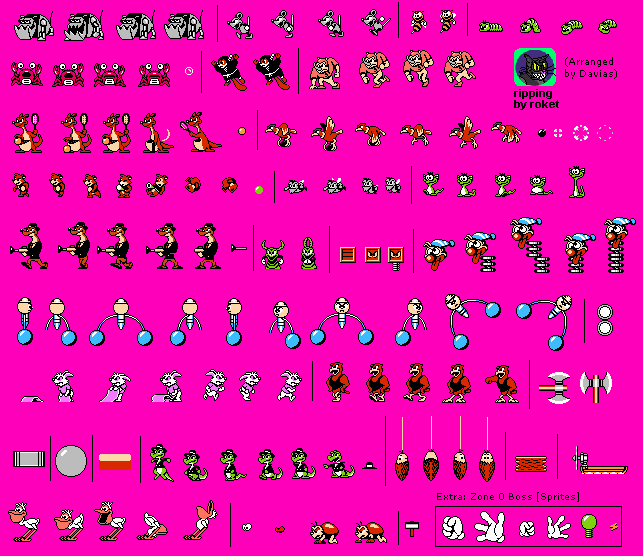 Individual links to game entries will very likely contain spoilers. Some games are long, some are hard, some have just been in the backlog forever. Whatever the reason, this award honors the games whose eventual completion made me say, "Finally! After ten thousand years, I'm free! It's time to conquer Earth!" Yet again it's time for some pontificating about what exactly MAKES for a backlog. Games I've known about for years and never finished, like Crystalis and Ducktales? Games I've tried to beat in the past like Final Fantasy V and Ico? Shenmue II I've owned for years but never started... and that took a bloody long time to finish. What is the nature of backlog clearance? Whether it makes me cry, warms my heart, makes me think about my life, or otherwise makes me feel things, this award is to honor the games that took me on a journey through the strongest emotions. Y'know, this year for whatever reason I just didn't subject myself to much emotional trauma or games that evoked strong feelings. For the most part I stayed light and fluffy or played games where the emotional core was some distance from me. All of these nominated games had endings that touched me in some way, from anger/fury to bemusement to outright crying to depressed staring into space. If this is kind of a weak category this year, it's a testiment to the wide range of other, less emotionally wracking things I've played. This award celebrates the headaches, confusion, and eventual triumph and/or shame in using a walkthrough that come with the best puzzle games and puzzles in games. BOY HOWDY DID I NOT HAVE THE PREVIOUS CATEGORY'S PROBLEM HERE. Welcome to some iron-hard puzzle madness, y'all. The fastest way to endear me to you is to put a high-quality puzzle game in front of me, and these are almost all Highest Quality, Finest Grade Puzzle-Em-Ups. The thing is, they're almost all different KINDS of puzzle-em-up. Framed 1 & 2 were a novel, unusual sort of puzzle game, while Broken Age was a very traditional point and click adventure with lots of dialogue. The Eyes of Ara was an 'old style' Mystlike while Quern was a 'new style' Mystlike, something more like Myst 4 or 5 than the 1-2-3 burst that Ara represented. And Ahnayro was full-on 100% ARG, and I STILL haven't quite solved that finale puzzle yet. These are the smartest games in the room, and the question is: Do I reward games that defeated me by being too strong, or do I prefer a challenge at my actual level? Whether it is an actual classic game or a modern pixel-fest reminiscent of one, this award honors the games that really take you back to Tantagel Castle. I feel really bad because Dragon Quest 1 is in the runners up and it's, like, the game the award was named for? But c'mon, I played through the phone version. Nobody's nostalgic about phone games. Again though, it comes down to a question of "What is Nostalgia, really? What is the most retro experience I can take?" Going back and playing old ZZT games was a hoot, but you'll notice I didn't go back and do any more of them. (Yet.) Shenmue is a deep love of mine from the past, but so is Sam and Max. Chip & Dale sure brought the memories flooding back... but Glory of Heracles? That was a genuine retro game that was new to me and fantastic because of it. There's no right or wrong approach here. Memory can distort facts and warp opinions. A fresh approach without a pre-existing bias can often cut cleaner than a muddled stew of past recollections. Still, fondness for one's formative experiences exists for a reason, doesn't it? Whew, goodness, am I noodling or what? Are you guys getting enough oxygen out there? Believe me, the actual awards will have a bit more energy to them. I hope. Not every game needs to be a long and serious epic. This award honors the light and/or little palate cleansers, because games are fun. Why yes, I did nominate a demo. Heartbeat actually releases on Steam on the 14th, but the demo was an impressive slice of game that felt good to play, so here it is. What else felt good to play? Everything on this list, actually! ...Jazztronauts, however, is not TRADITIONALLY short, but it is by nature broken up into discrete single levels where you can just load in and start stealing all the junk that isn't nailed down while thinking about cats. Whether it's a short indie romp or a long epic, and whether heartwarming moments are in the plot directly or just as a project that feels like it was made with love, this award honors games that make players smile like a happy electric kitten. We've covered Kitten Adventures already. Yeah, that was pure sweetness and light. And the Heartbeat Demo? Shows up TWICE. That game's gonna be a powerhouse in its complete form, don't you think? Super Mario Odyssey meanwhile was ... well, it's pure Nintendo Brand Happiness. Platforming exploration and discovery. Chocobo Tales was the kind of goofy fairy-tale niceness you only get when a company goes all-in on using their mascot to make people feel good, and Tadpole Treble had a soundtrack full of joy. Because sometimes you just need a silly little award to acknowledge that one character you want to bang. Hello, and welcome to the sexytime award for creatures I would sexytimes with. One day I'll get you for including this award, woodrat. Breath of the Wild of course had everyone's sweetheart Kass, as well as Revali and Prince Sidon. Killer Instinct 2013 had the triple furies of Saberwulf, Riptor, and Gargos. Everquest 2 has entire races like the Ratonga, Iksar, Sarnak, and Kerra. ...but the surprise here is Yeti's Parole Officer, a short text adventure with a highly seductive jackalope crime queen who made me want to defect to Team Evil. I actually did, one playthrough. She's VERY persuasive. Who will come out on top? I don't know, but it can't be more embarrassing than writing this. Regardless of what the game actually does with them and whether it works overall, this award celebrates the truly outstanding and impressive feats in a game's assets, be the graphics, music, voice acting, game engine, or anything else. Jazztronauts is absolutely some kind of art. Any game built around repurposing so many assets and recontextualizing them feels like an art. Meanwhile, the Off-Peak Norwood Suite duology feels like it has a lot to say about ... something. I'm STILL processing my reactions to some of the stuff in Norwood Suite. Warframe, meanwhile, just plain looks like nothing else and its sleek glossy rubbery future is fascinating to me. Shenmue is a lovingly crafted monument to small-town Japanese life, with every NPC accounted for and many items available to just pick up and REGARD in polygonal fascination. Sam and Max, though? That's a special case. That's a rarity where every bit of voice acting, every line of dialogue, every sprite and every music track is perfectly chosen. The pinnacle of point and click adventuredom. Will that be enough to score a victory? One of my own awards, not lifted from Celine this time. Every now and then I have to look back at a failure and go "Y'know, this might deserve a second shot." While the real winners take their victory lap, this award honors the best of the rest of what's left. I just did not give some of these games a fair shake at all. Others, well... Final Fantasy Tactics I have given several shakes to. I just do not understand how to engage with that game on any level, do I? Maybe I should try again! Or maybe I should go back to Dragon Quest Builders, which ran overlong for its gimmick but which you can pick up basically anywhere thanks to the regular progress resets. Then there's Romancing SaGa 2, where I just got a bit logjammed against the difficulty curve. No shame there, that happened to Japanese players too. The Eyes of Ara meanwhile was just too smart for me, and that irks me. I might go back and chop at it s'more. And Super Robot Wars X ... the only crime that game committed was to be too much like the previous game, which I loved and played to death. 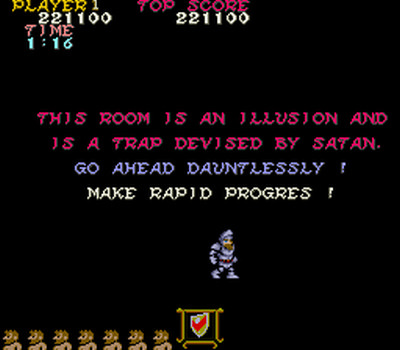 Another of my own awards, named for the forced replay loop in Ghosts & Goblins. I don't go back and replay many games because time is finite in our universe. This award honors a game I had enough fun with to push reset and start again, or a game with deep potential for other routes or other playstyles. If I haven't seen it all or want to see it again, it takes a trophy in this category. Hey, it's Sam & Max and Jazztronauts again. Those work really well together for some reason. Sam & Max I've been replaying every few years as long as I've had it. Like I said, maybe the best point and click adventure, the one that Defines Me, the one I grew up with. Breath of the Wild meanwhile is just ... fricking HUGE. I know I didn't finish all the stuff in that game. I know I didn't even FIND most of the stuff in that game. Unavowed has multiple paths. I think I saw all the unique endings already, but how to get there? Nope. Didn't see those. Final Fantasy V has its 4 Job Fiesta. Maybe one day I should try a run of that? See if limiting myself intrigues me at all? Whether it's an overlooked indie gem or a well known game that deserves its reputation, this award honors the one game each year that everyone reading this really owes it to themselves to check out. So am I really gonna ask y'all to play a Dragon Quest? A full one, in this day and age? ...maybe! DQ XI is surprisingly respectful of your time, until you hit the postgame. It's also grand fun. But the other options? Hypnosis was so STRANGE I half want to encourage you all to go get it just to see what it's like, if you're not the video-watching type. Unavowed was a great work of supernatural choose your own adventure fiction, and Tadpole Treble's fantastic music is only held back by being a rhythm-based game. Jazztronauts meanwhile represents a bit of an investment, because you need several Valve games as well as a free mod... but man, it's like nothing else. Could that be the perfect rec? We will all find out together! Let's just make the woodrats pick a game to write about, because I enjoy tormenting the adorable ear-rodents. Gonna be honest: I put Final Fantasy Tactics in there just because I know Celine loves it and I wanted to show it off and then huck it into the bin across the room so she can't pick it. I'm a terrible person, y'guys. I really am. Aside from that... well, who can know the whims of the rodent mind? And now we got two of 'em picking. This'll be swell. What was the best game I played this year, anyway? No bull, bluster, or lies. I loved one game most this year. Which game will it be? See you in a few weeks, folks! I always enjoy your year-end roundups. Sometimes I go 'hmmm' and check out games on them, even! ... and if I'm 100% correct in all my predictions (which, haha yeah that will happen,) that would mean you will be Mega Man Unlimited-ing Tadpole Treble. Mmh. No. No one saw me Mega Man Unlimited-ing Mega Man Unlimited, either. I'm gonna be brave, and also probably be hilariously wrong, but at least be bravely hilariously wrong. Yes, sticking to this.